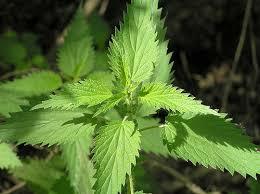 Stinging nettles can give away secrets of our past. They have a strong association with human habitation and buildings. This is because our waste of refuse, ash and bones is rich in phosphate, which then builds up in the soil, and stinging nettles love phosphate. Phosphate can stay in the ground for a very long time in non-acid soils, and as a result their presence may indicate the existence of long abandoned settlements. Another example of nettles and settlement abandonment is the large clumps of nettles around the sites of Scottish crofts which were razed to the ground during the Highland Clearances. The next time you see a large clump of nettles, you might want to imagine what lies beneath them.